All kids love potatoes(Alu in hindi), and my Milee is no exception. She trips on french fries, alu parathas, alu puri and various other creations. 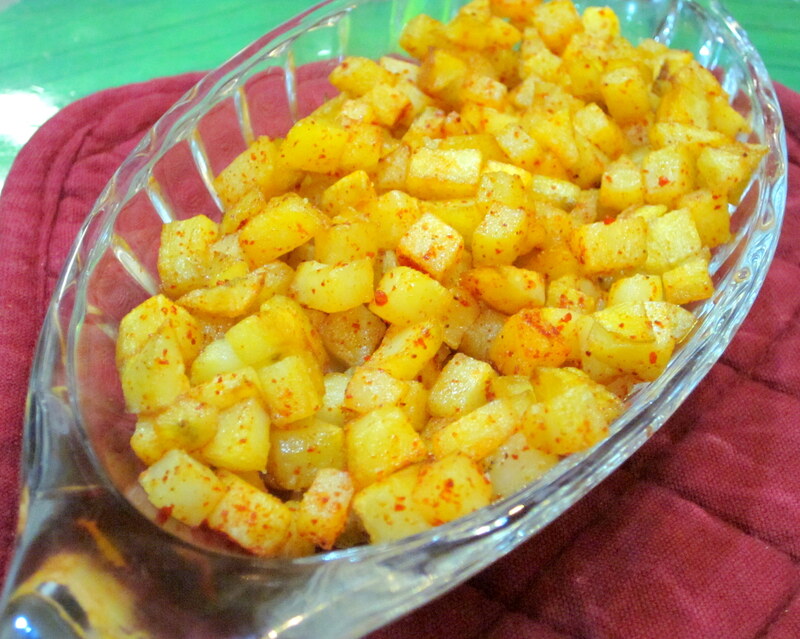 Here, in potato fry, you don’t need copious amount of oil to make your tuber tasty. This recipe is simple, mildly spiced and sauteed in minimum oil. 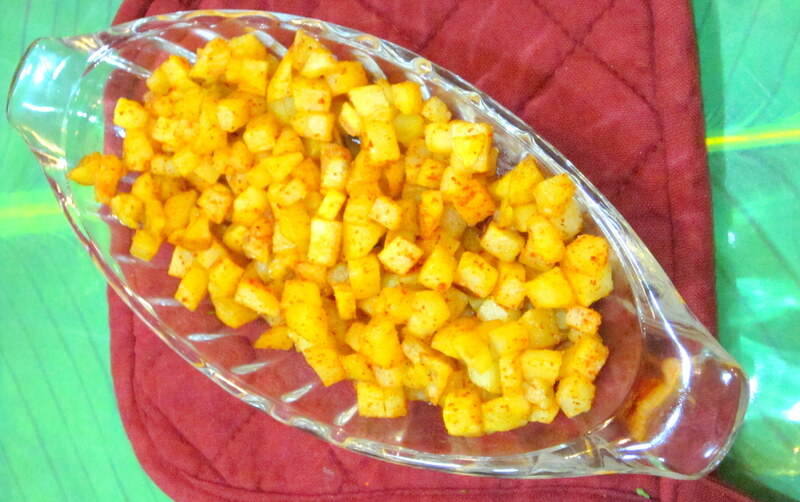 3-4 medium sized potatoes, peeled, and diced into small cubes. In a broad pan, heat the oil. Add the chopped potato cubes. Fry on sim flame till the potato is roasted well from all sides. Key is to slow saute the potatoes for a slightly long time. Remove in a bowl, sprinkle red chili powder, salt and lime juice. Toss well. Serve with rice or rotis or just plain as a snack.